This article was originally published on Honesty For Breakfast, an online lifestyle publication. Be sure to check out their site for daily articles on dating, fashion and culture. If you are like me, you are always searching for the most engaging, unique and of course, effective fitness regiment. Why stick to the same, monotonous workout that is a total time drain? Not only do you want your workout to be challenging, you want it to be thrilling, something you want to literally run right back to the next day and do over and over again. In fact, it is okay if the following workouts becoming completely addicting, because trust me, they are! Below are some up-and-coming exercise classes everyone should try. This is an ever-growing popular sport that is quickly springing up all across the world. During the summer, I find myself paddling out to the middle of the bay very early in the morning and doing my morning stretches, or even bringing one of my magazines to read, of course hoping it doesn’t get wet! With paddle boarding, you don’t even realize you are torching those extra calories. And you don’t have to be alone. Your furry friend is more than welcome to tag along when you venture out for a sunset paddle escape or bring your friends along for an SUP race. It’s Crossfit meets Om. Want that chance to blow of some necessary steam and infuse a physical as well as a mental challenge? This workout fusion takes you to the edge and back, giving you that extra boost of confidence and a calming mind. When I needed that focus boost at work, this workout was my calling. What could be better than two of my all-time favorite exercises combined? I don’t think anyone could dream up a better type of class. The aerial arts are no longer exclusive to acrobatic performers. Dare yourself to take an outdoor trapeze lesson, an aerial lyra (hoop) or silks class. There’s a reason why these classes are the most effective in transforming your body into superstar quality. Muscles you never knew existed will ache for days the first time you try the aerial arts, but that doesn’t stop you from taking it on again the next day. If you are up for something less intense, try aerial yoga or Pilates for that euphoric, weightless sensation and a killer stretch. You may be thinking of that workout machine you always see at the gym. These are water-based rowing machines that give you that lean, toned dynamic body that’s perfect if that lake seems so far out of reach, especially during these chilly, winter months. I was immediately hooked when I first tried it and was astounded at how much of a high-impact workout I was getting that was so easy on my joints. Surprisingly, it is one of the top calorie burning exercises, which is definitely a good excuse to stay indoors every know and then. Is this a dream come true or what? Adding a gigantic trampoline to any sport is like a giant welcome mat to the most thrilling workout where you literally bounce of the walls. 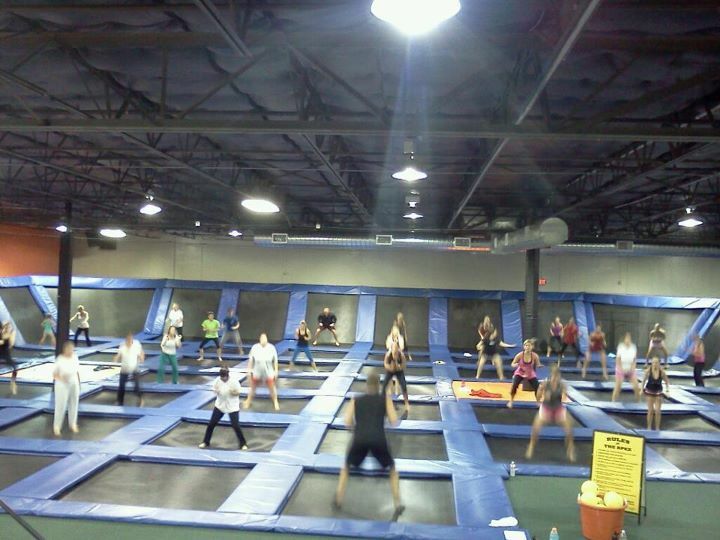 In these indoor trampoline parks, found in most major cities and some suburban areas, you could do anything imaginable from air basketball and volleyball to dodgeball in mid air. I didn’t want to leave the first time I tried it. The experience was beyond exhilarating; I felt my inner child beaming out of me almost instantly. No why didn’t they have this in gym class when we were in elementary school? Vanessa Pinto is a novelist, English language instructor and travel enthusiast. She earned her Master of Arts degree in Education from New York University. During her graduate summer study abroad, she studied literacy and Shakespearean theatre at the University of Oxford. She immerses herself in antiquarian cookbooks and loves experimenting with homemade pastas, breads and jams. Be sure to keep up with her on her personal blog eastendtaste.com.